Gaining adoption once an enterprise aggregates all their projects into a portfolio can be challenging. Project Pro and Project Online/Server are really good out of the box however, your enterprise adoption strategy for Project Pro and Project Online/Server requires just a little bit more. 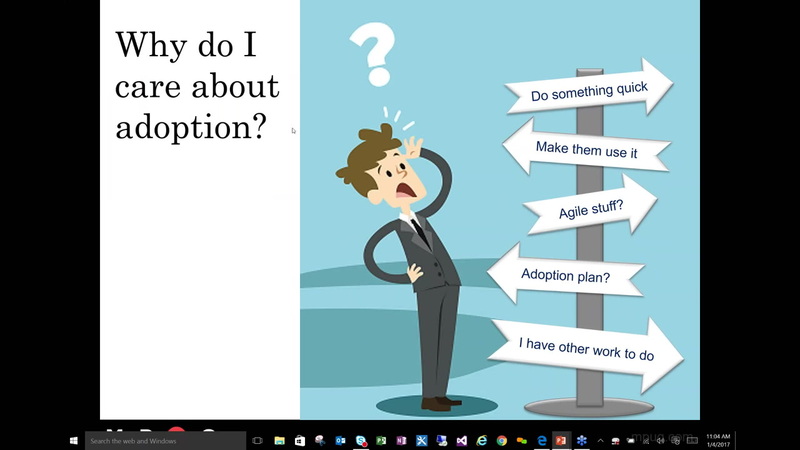 In this session we will cover adoption strategies around shifting to a new tool, updating best practices and policies, training the team, surfacing new insights all while creating excitement for all of your users. Darrin Lange, PMP, is Director of Operations and Project Management at Advaiya and draws on two decades of diverse project management experience in IT. Darrin has held leadership roles in public safety software companies, Desktop-as-a-Service providers, and consulting firms, bringing a positive impact to the organizations where he has worked. In his current role he’s responsible for forming and facilitating cohesive teams, client interfacing, and liaising with stakeholders. He is a believer and practitioner of the “get things done” approach and enjoys helping teams formulate and achieve their goals. Very informative – great topic.